Ooh. Is it Lilt? I bet it’s Lilt. Or Paraquat. 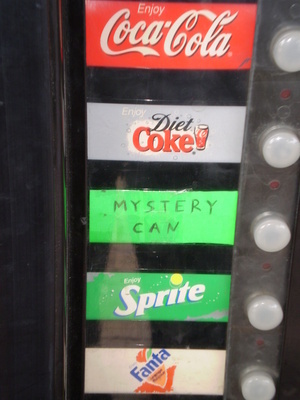 Posted in Misc and tagged mystery can, vending machine at 10:00 am on October 29, 2010 by Niall Murphy.